When you’re trying to lose weight you will make many changes to your diet. You will cut back on sweets, and you may put more vegetables on your plate. Regardless of the changes that are made, you will have to master the art of portion control. 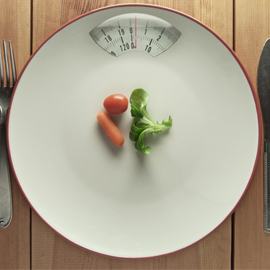 Learning how to control portion sizes is the first step to a healthy, lean body and is a crucial component of any weight loss program in Beverly Hills. With consistency and dedication, you can reduce the calories and drop the pounds. Measure – If you eyeball portion sizes, then you are probably getting too much food. Use actual measuring utensils to serve accurate portions. Shrink the Plates – If you use a smaller plate, you will naturally take a smaller portion. The same will work with cups and bowls. Keep it at the Stove – Serve dinner from the stove to discourage going back for seconds. You will also have more space at the table, and you won’t have to wash the serving bowls. Prepared Portions – Take bulk purchases of food and transform them into single servings using plastic containers and bags. You can grab one when you need a snack without worrying that you are taking too much. Condiments Count – Oil has calories, and those calories will quickly add up when you cook with oil. Measure the oil carefully, and take the time to measure out your salad dressings and other condiments as well. Eat Slowly – Savor the food, enjoy every bite and chew it thoroughly. Eating slowly gives your brain time to catch up with your stomach, naturally limiting your portion size. Listen to your Body – The other part of eating slowly is listening to your body. You must listen to the cues you receive from your body. When your stomach feels full, you have to stop eating. Veggies are Great – Low in calories and very filling, vegetables are a great way to add substance to a sandwich or a meal. You can even eat one cup of veggies before dining to reduce the amount you eat at the table.